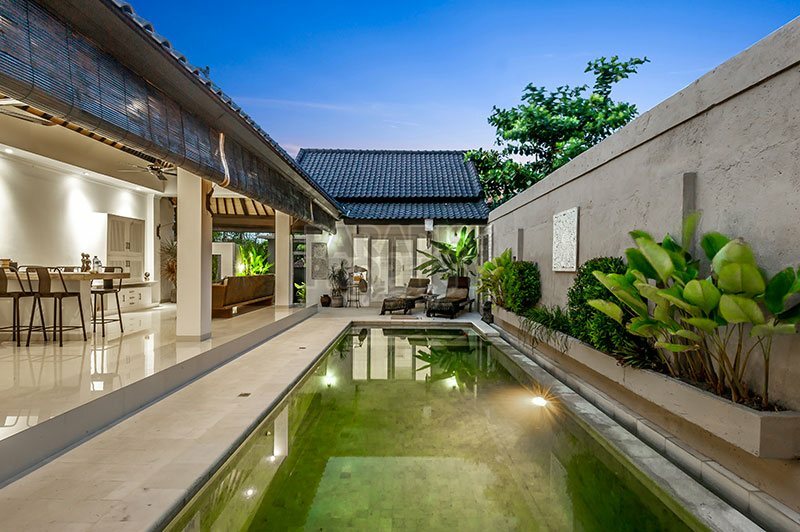 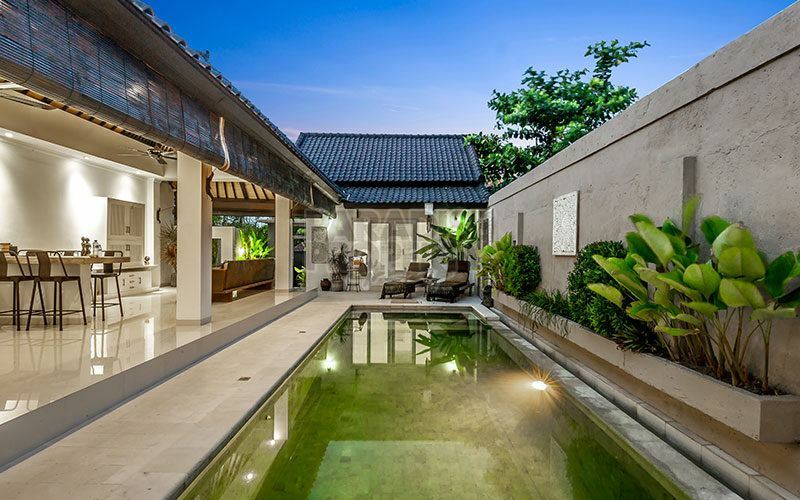 This delightful modern villa has clean sleek lines. 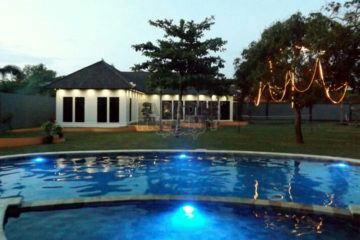 Tastefully decorated and with full amenities. 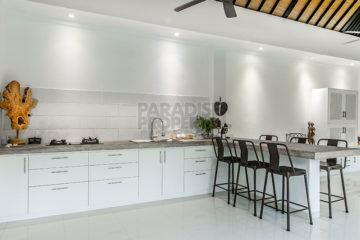 The main open plan living and kitchen area includes a second lockable caterers kitchen. 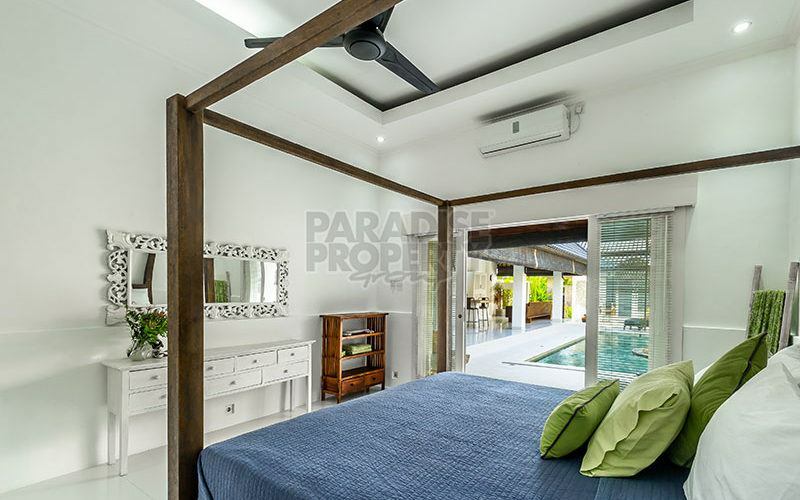 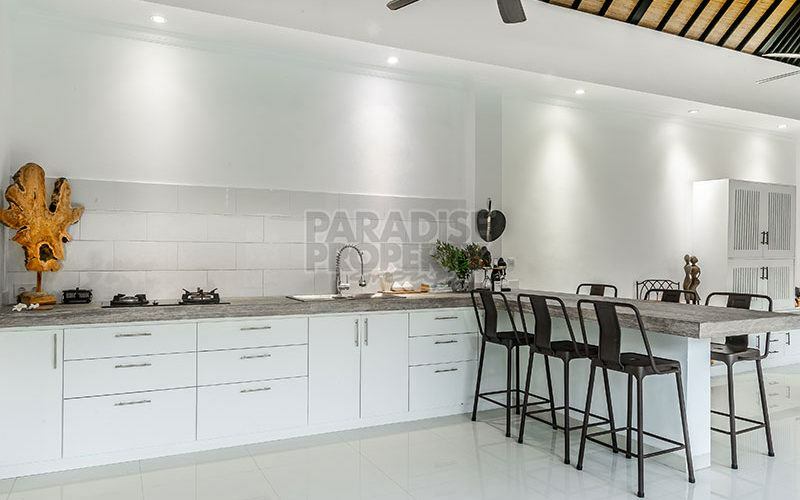 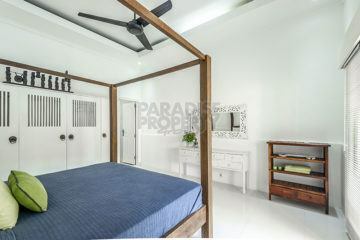 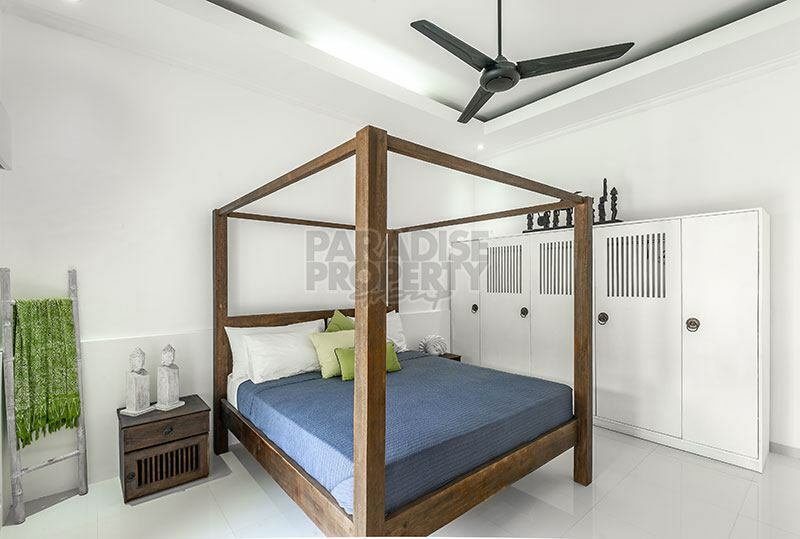 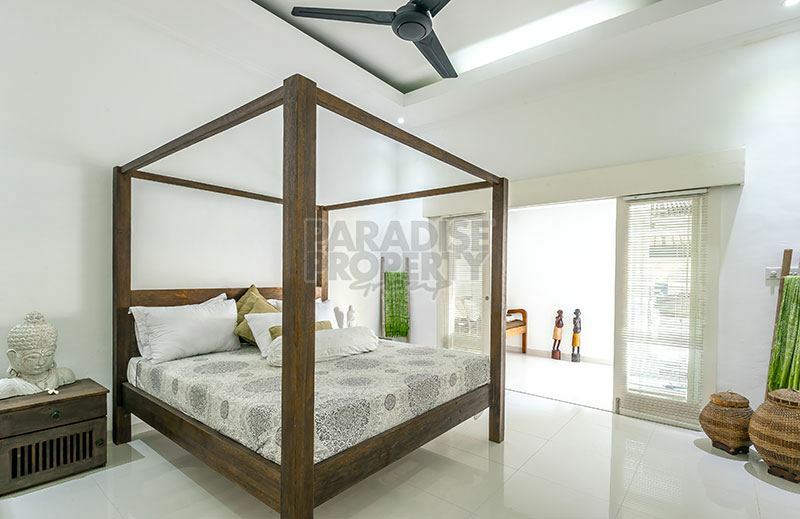 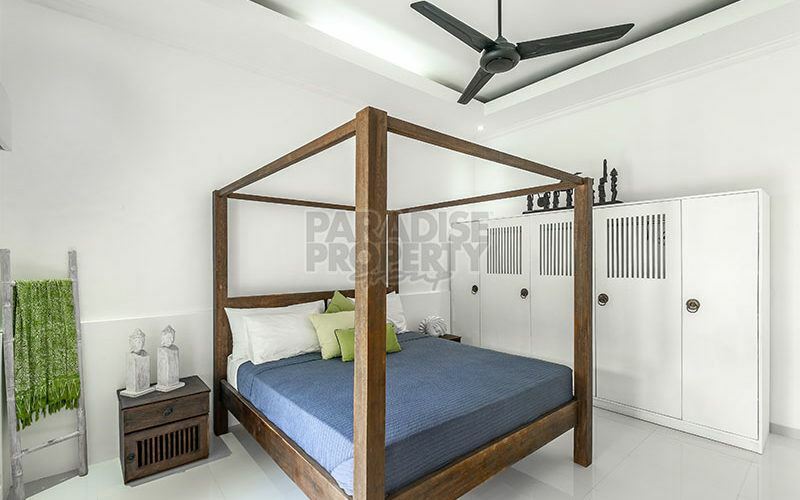 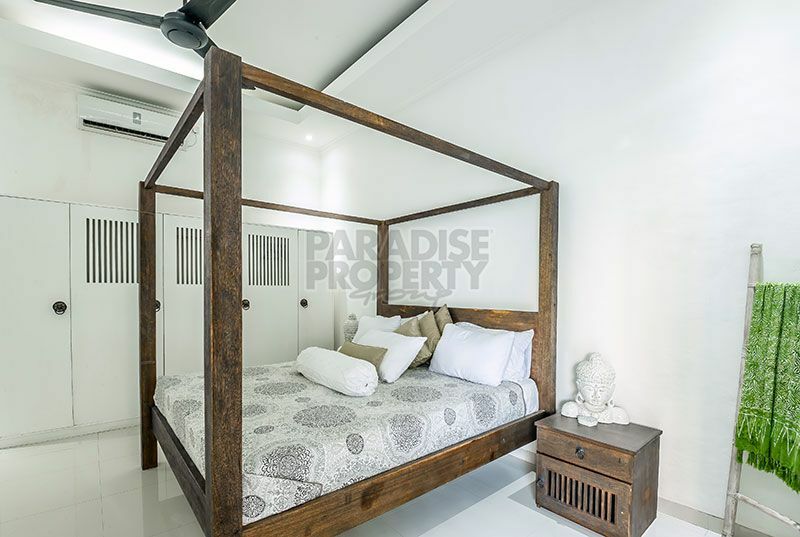 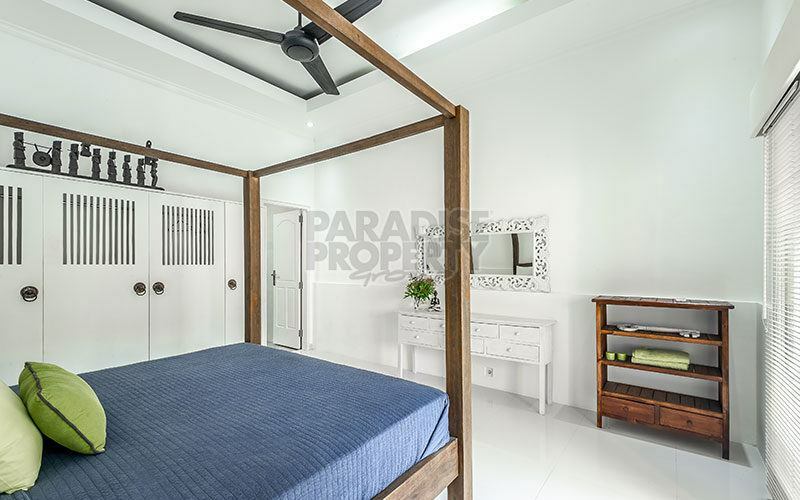 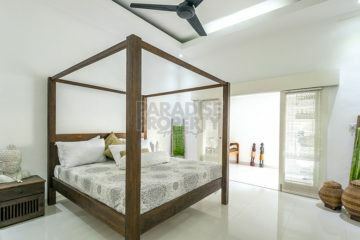 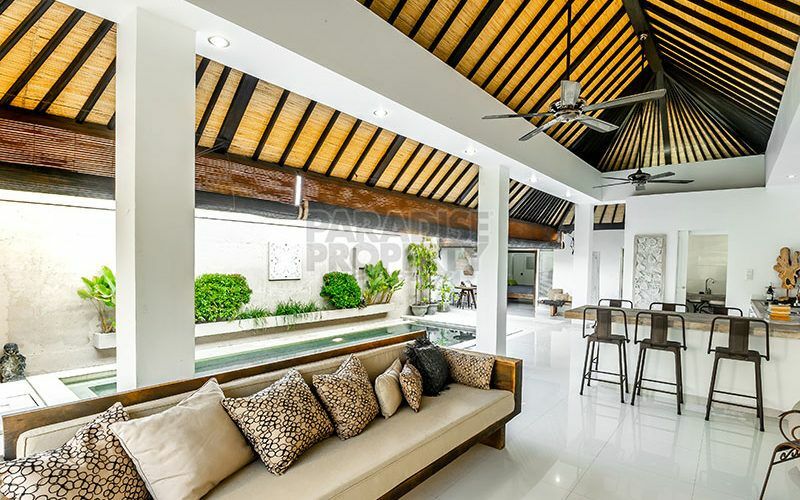 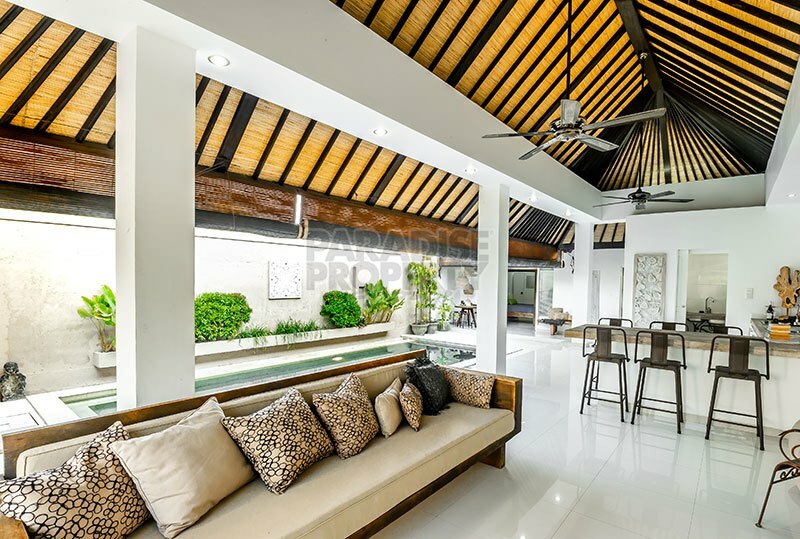 The room has high vaulted ceiling with the fans moving the tropical air comfortably around. 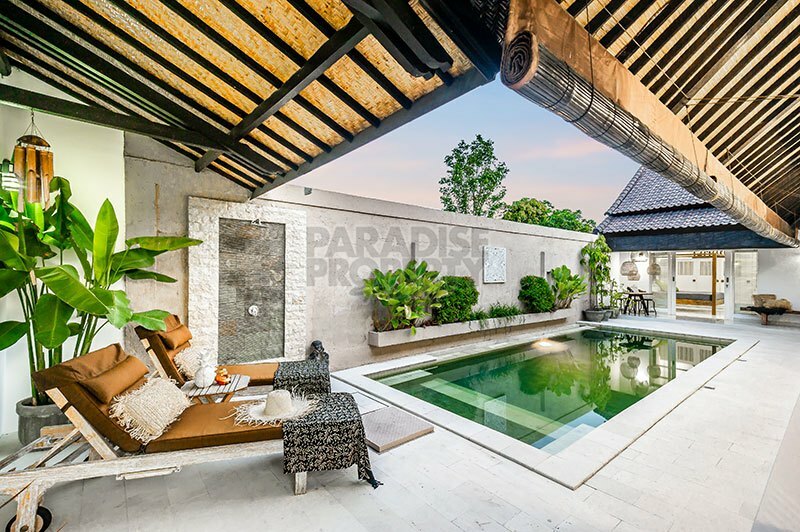 Recessed lighting completes the mood followed by a seamless transition to the generous pool outside. 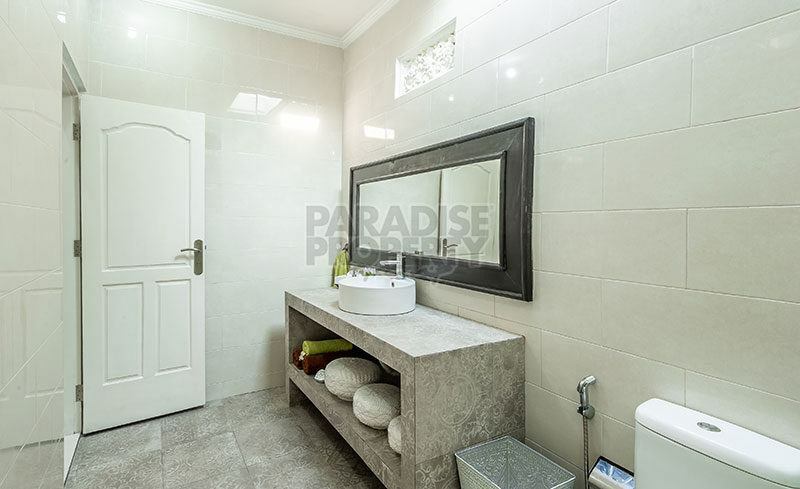 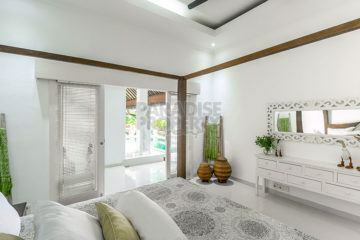 Three larger bedrooms each with en-suite, all have air -conditioning and are beautifully decorated. 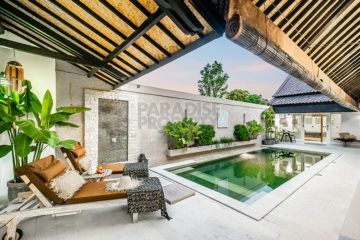 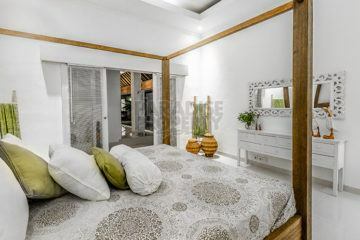 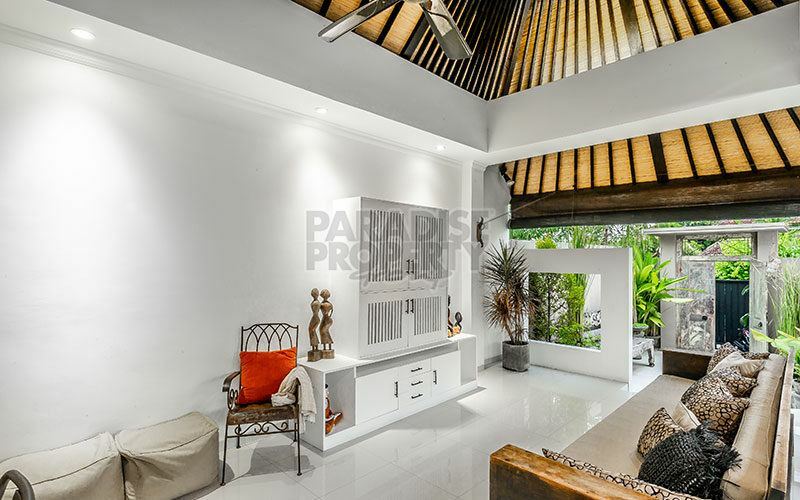 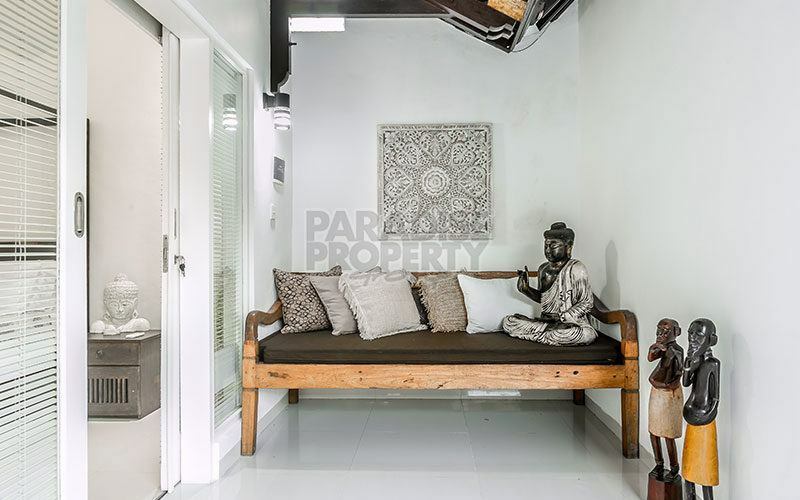 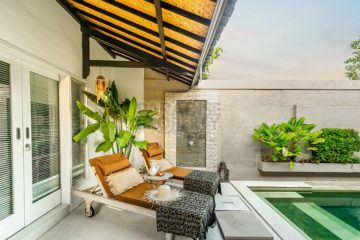 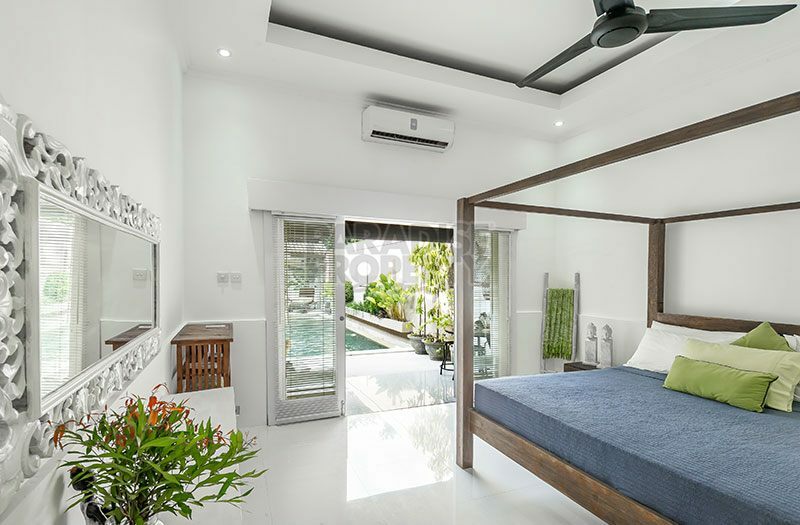 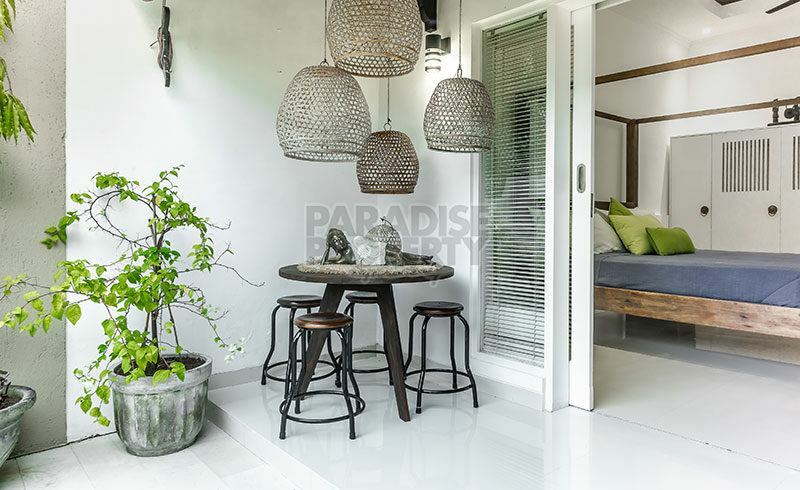 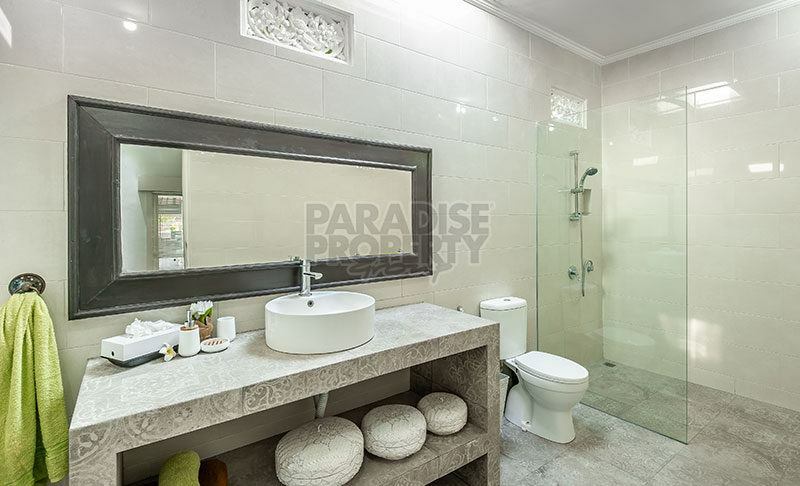 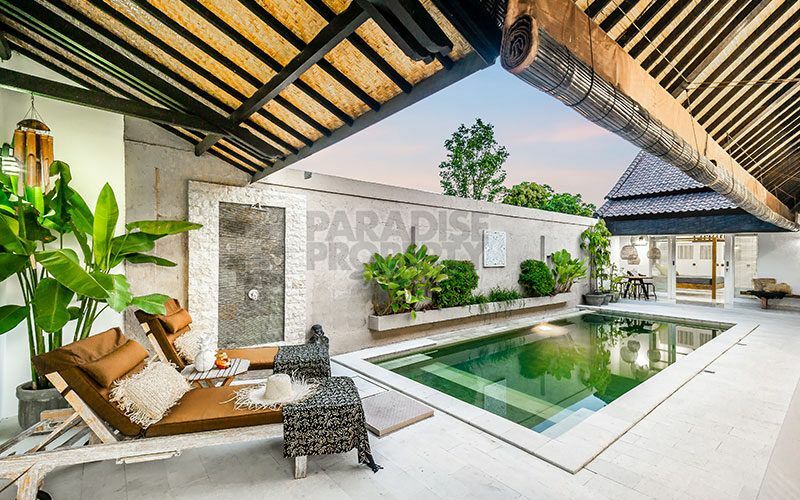 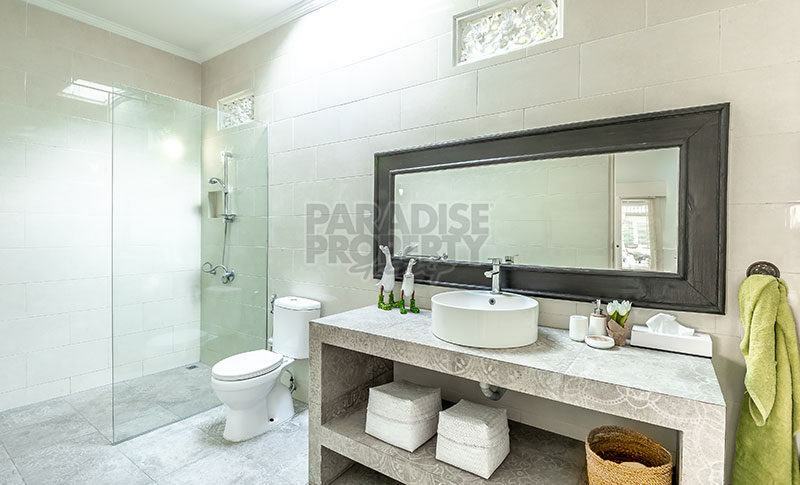 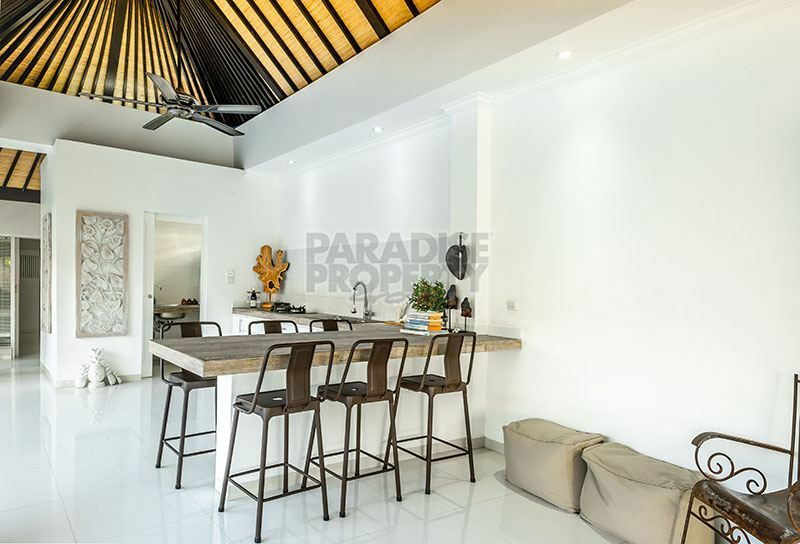 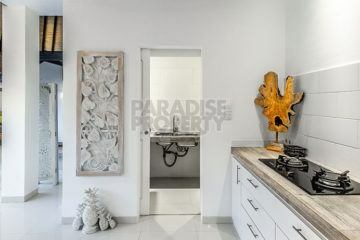 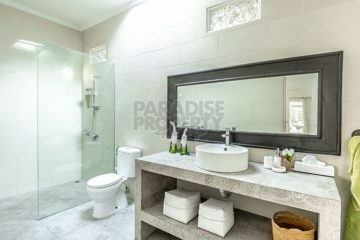 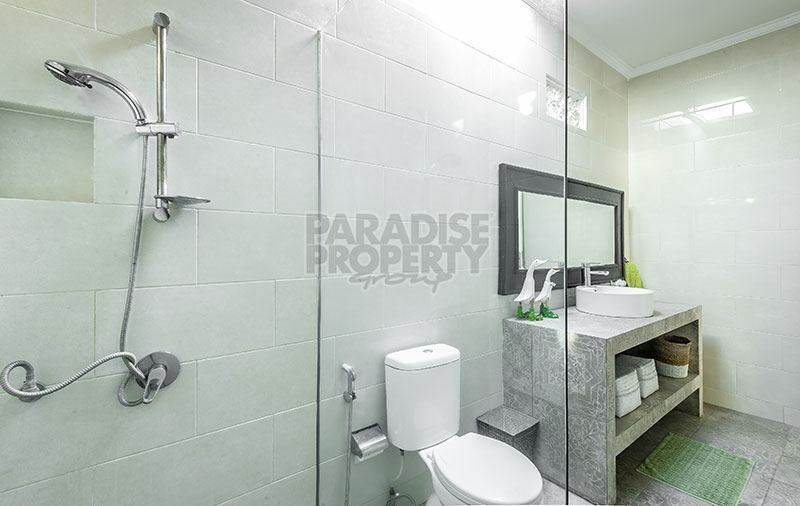 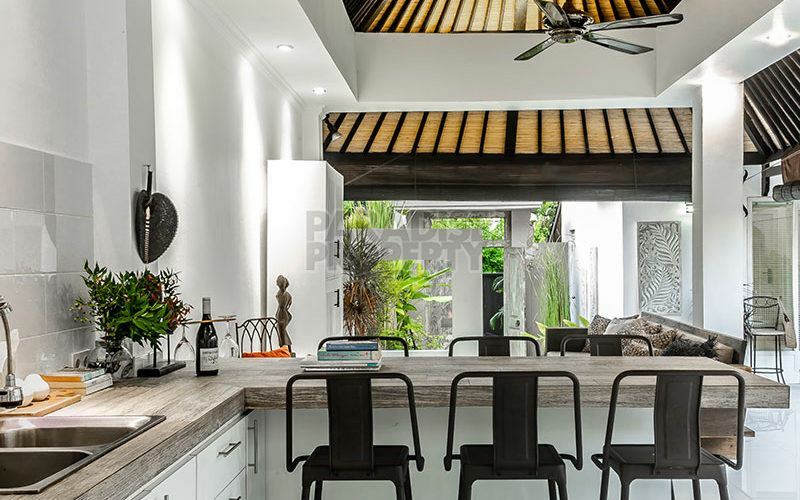 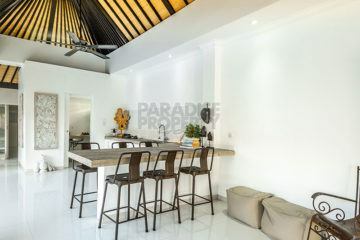 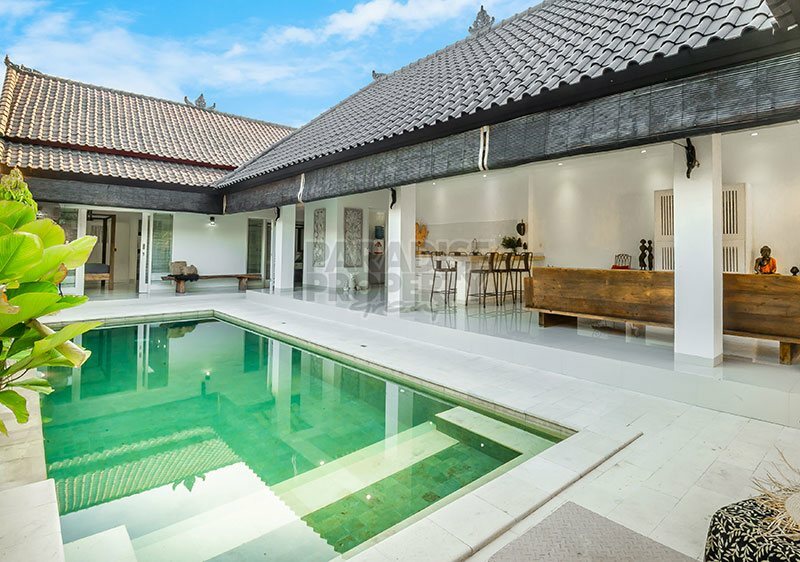 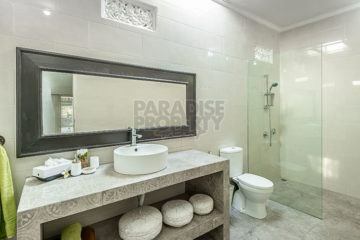 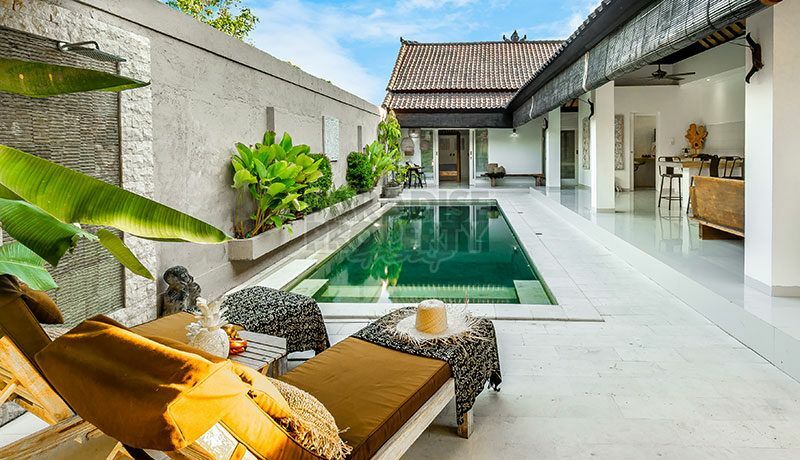 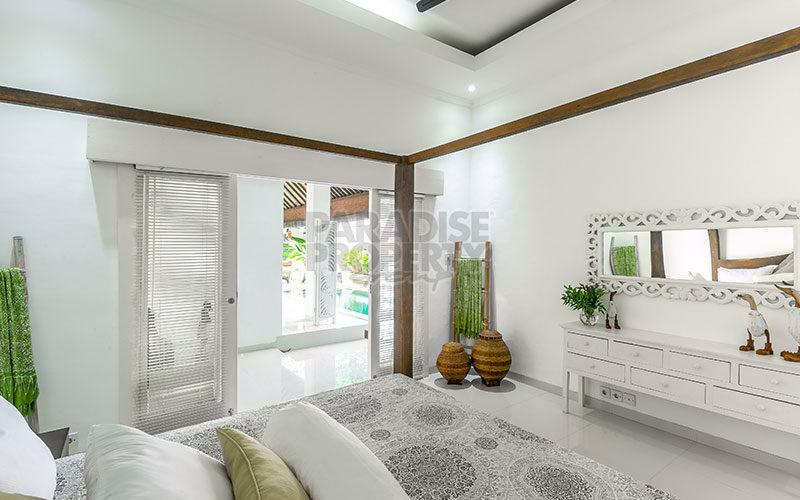 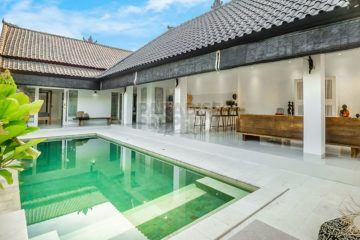 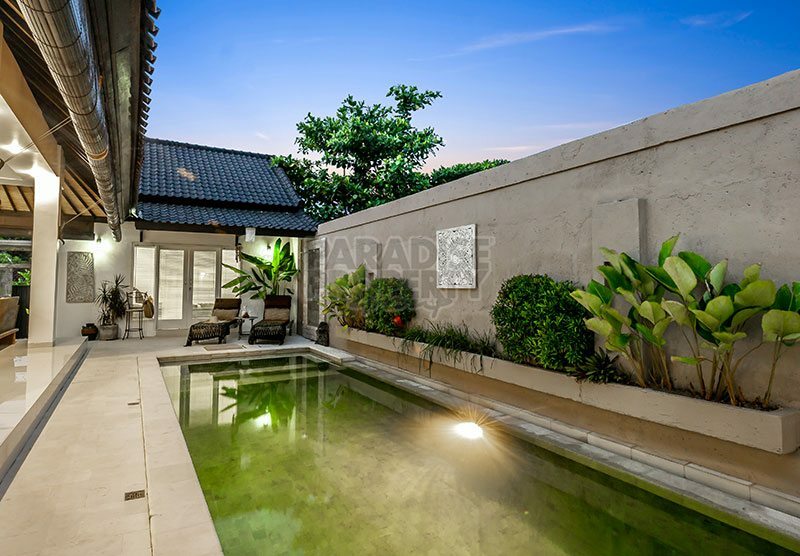 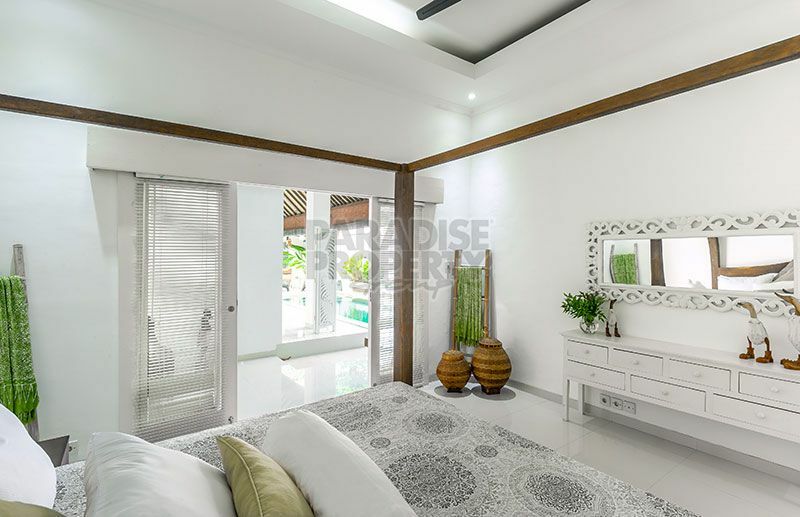 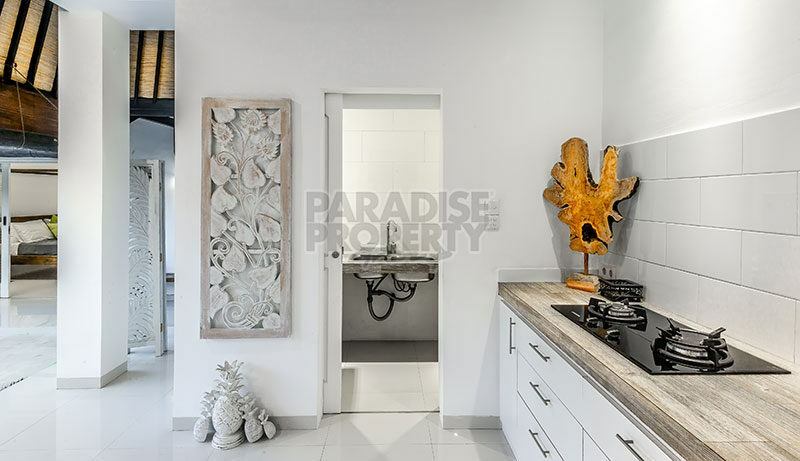 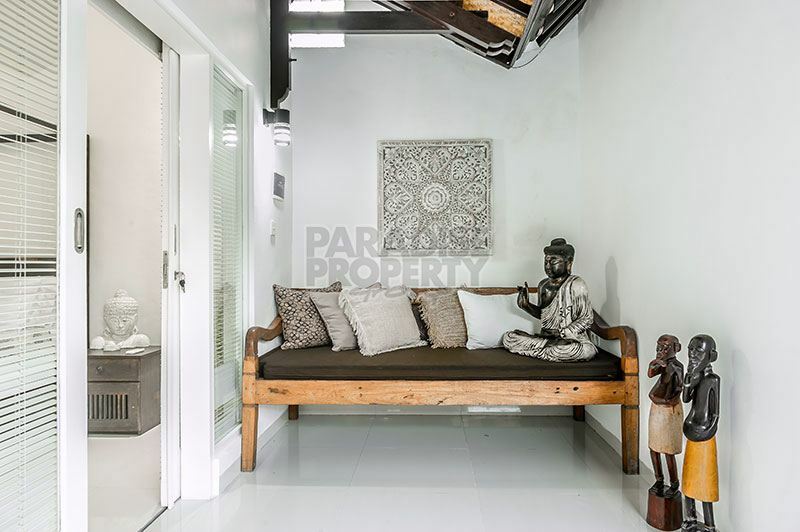 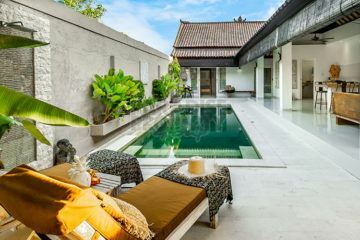 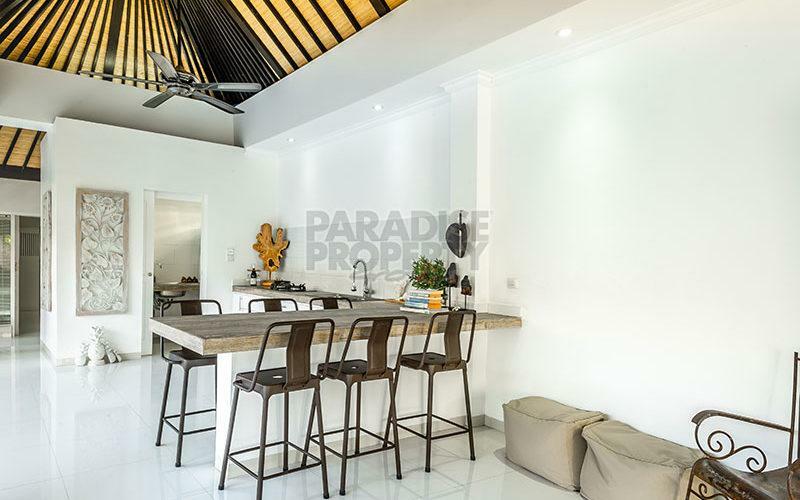 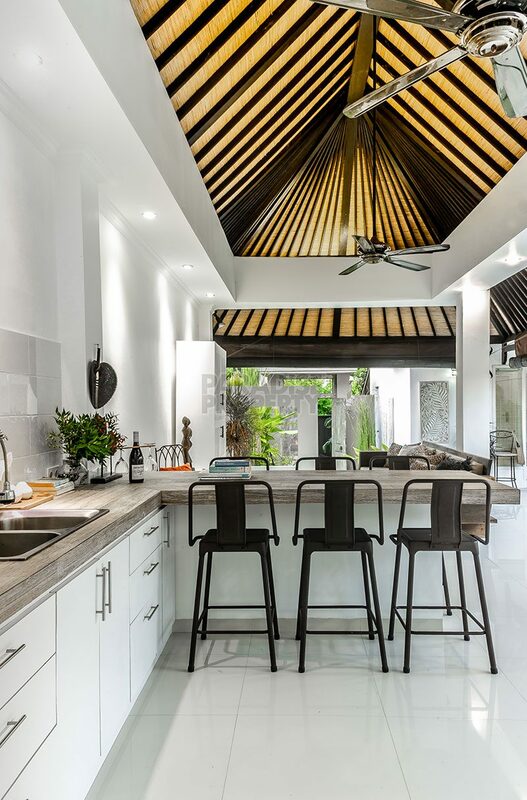 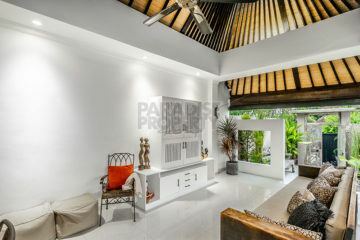 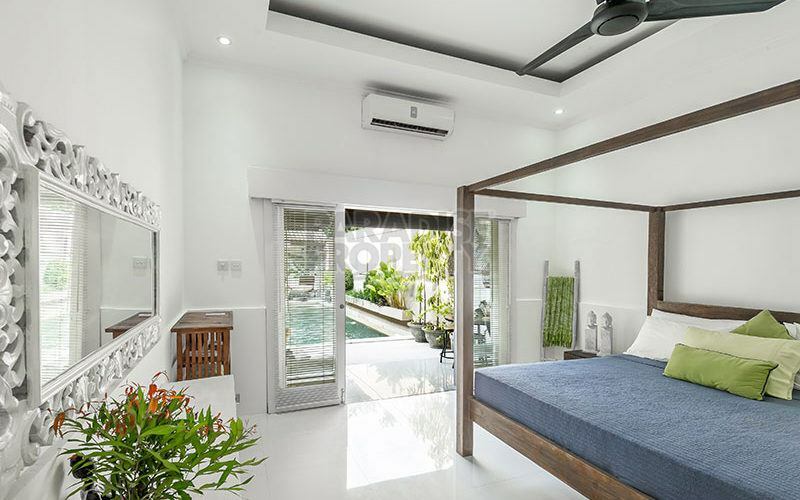 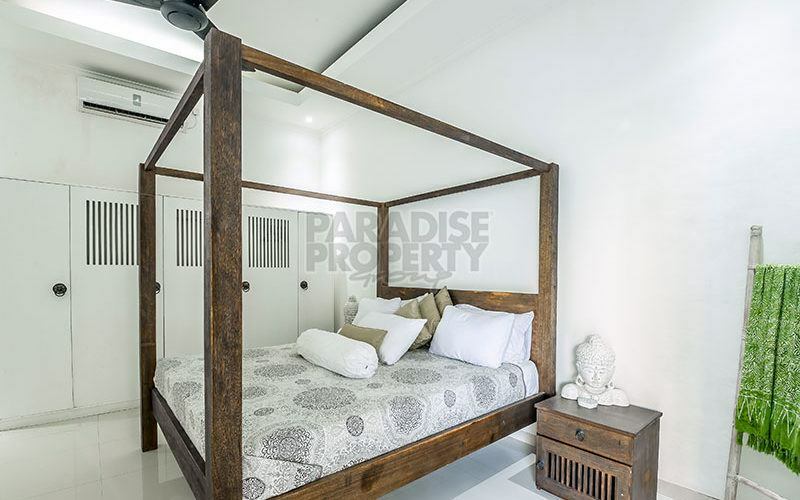 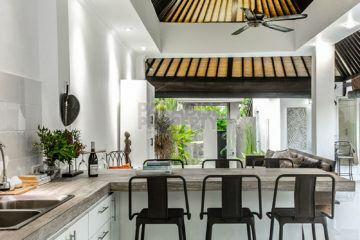 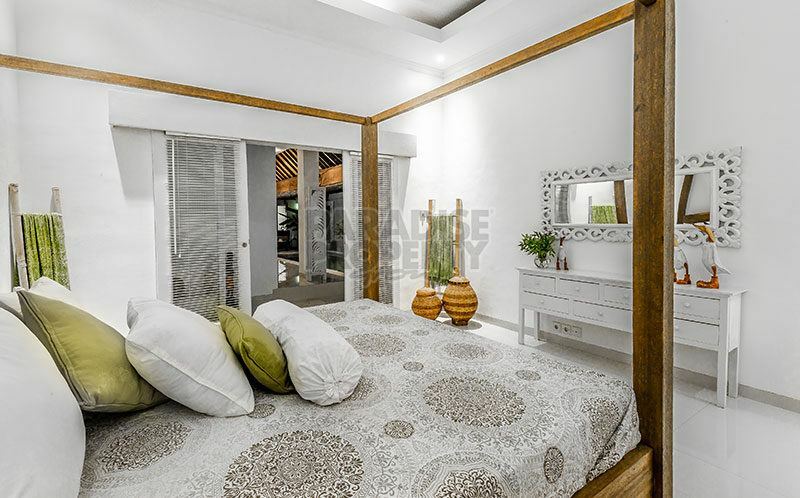 Walled and secure the Villa location gives the added bonus of been close to the bustle of Legian, Seminyak and beyond, yet still enjoying great privacy. Car parking and lockable storage completes the package.